Over 4,000 students will be coming together to hear what the International project will be. 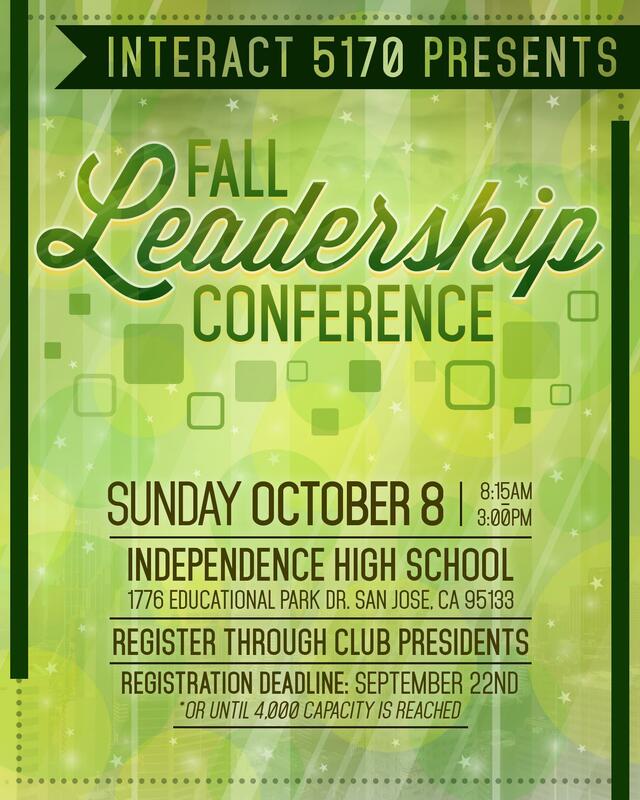 Volunteers are essential to the success of the Fall Leadership Conference (FLC) - whether aiding District Council members in facilitating workshops, leading attendees around the Independence High Campus, passing out lunch, ensuring we go green and recycle, etc. The more volunteers, the more smoothly the day will run. For those of you who have always wanted to learn more about Interact, see what makes Interact 5170 the most celebrated youth District in the world. lunch. Payment and registration is through interact Clubs. Please contact an Interact Club in which your Rotary Club sponsors to sign up.